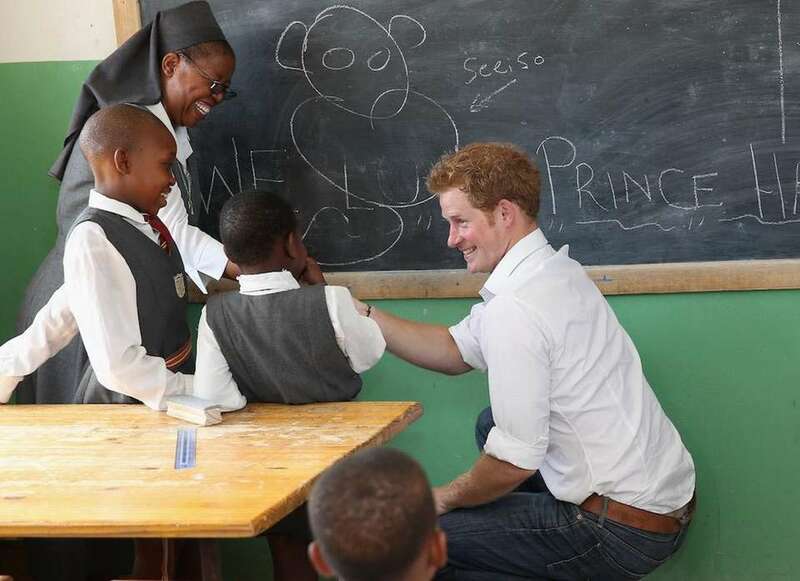 Prince Harry in NYC, and his visits and work around the world. 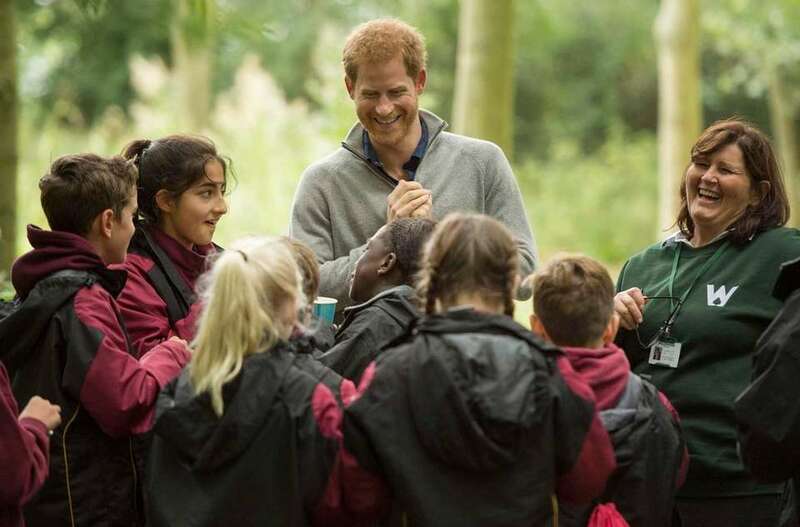 Prince Harry samples nettle tea with students from Felsted School during his visit to Chatham Green Project in Chatham Green, near Chelmsford, England, on Thursday, Sept. 14, 2017. 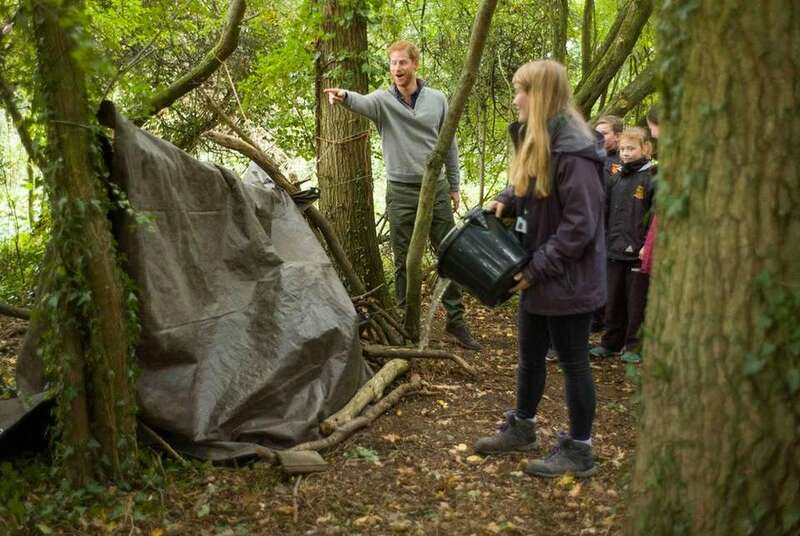 Prince Harry takes part in a shelter building exercise with students from Felsted School during his visit to Chatham Green Project in Chatham Green, near Chelmsford, England, on Thursday, Sept. 14, 2017. 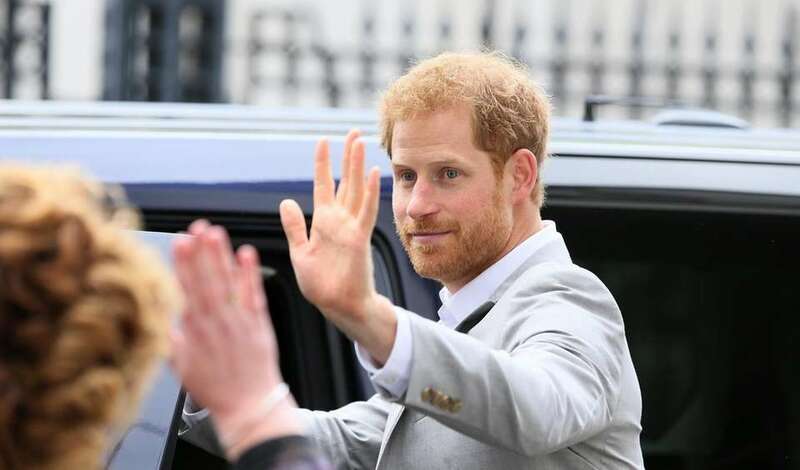 Prince Harry waves as he leaves The MAC in Belfast on Thursday, Sept. 7, 2017. 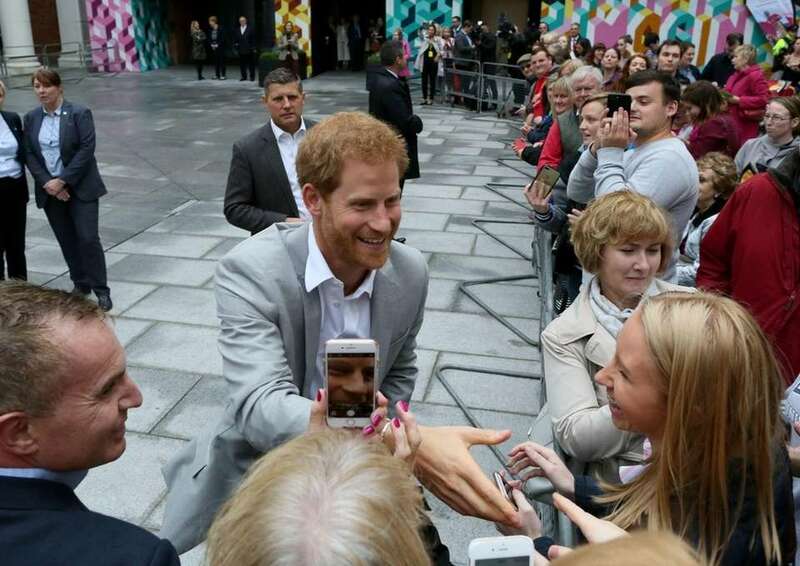 Prince Harry greets people during a walkabout at the Cathedral quarter in Belfast on Thursday, Sept. 7, 2017. Prince Harry speaks to families affected by the Grenfell Tower fire during a visit to the newly established Royal Foundation Support4Grenfell community hub in London on Tuesday, Sept. 5, 2017. Prince Harry speaks to apprentices as he attends a Coach Core training session at Manchester City football club on Monday, Sept. 4, 2017. 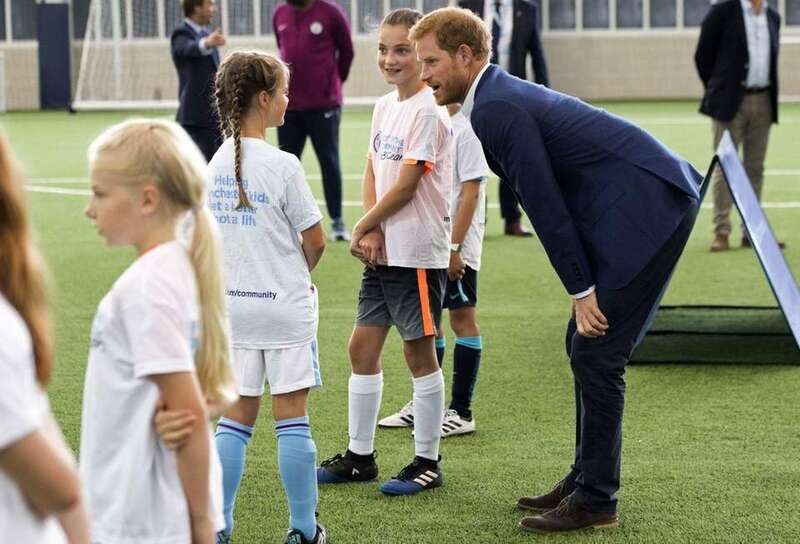 Prince Harry attends a Coach Core training session at Manchester City football club on Monday, Sept. 4, 2017. 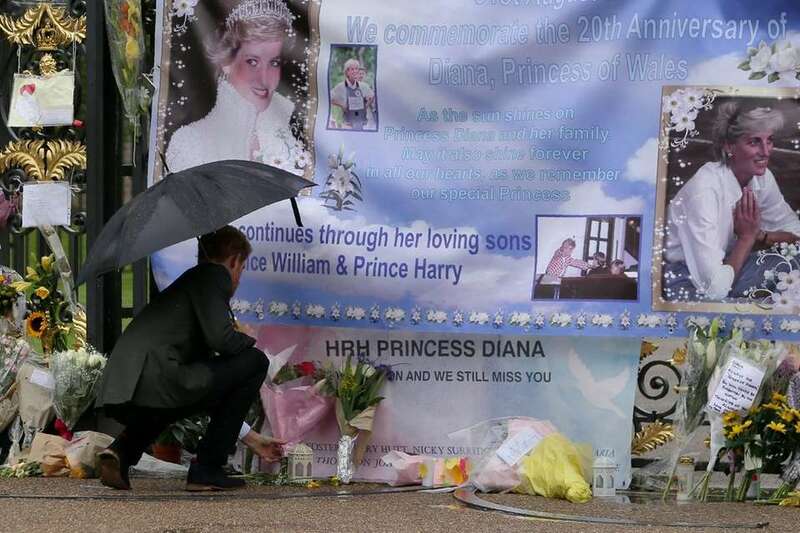 Prince Harry places flowers alongside tributes left by the public at one of the entrances to Kensington Palace in London on Wednesday, Aug. 30, 2017, to mark the 20th anniversary of the death of Princess Diana. 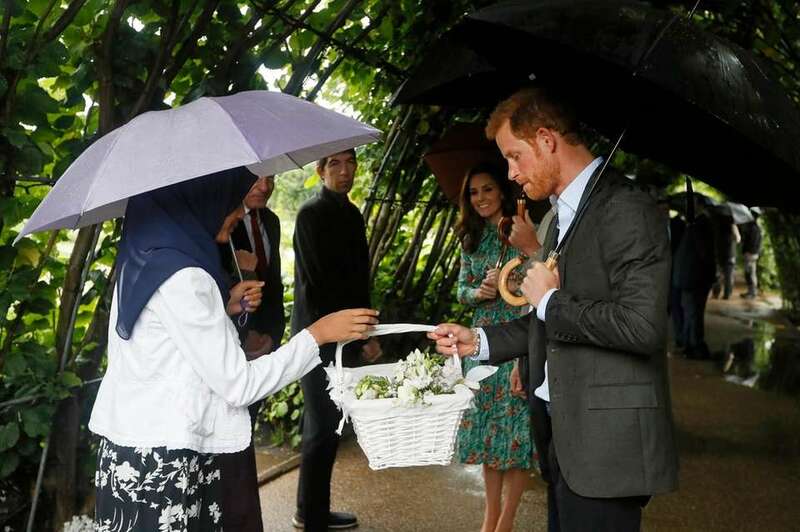 Prince Harry is presented with flowers during an event at the memorial garden in Kensington Palace, London, on Wednesday, Aug. 30, 2017. 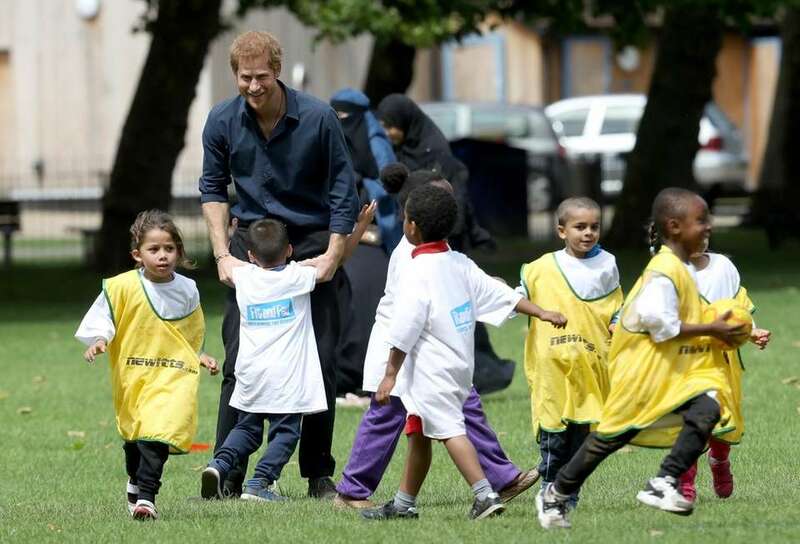 Prince Harry during a visit to StreetGames' Fit and Fed at Central Park East Ham in London on Friday, July 28, 2017. 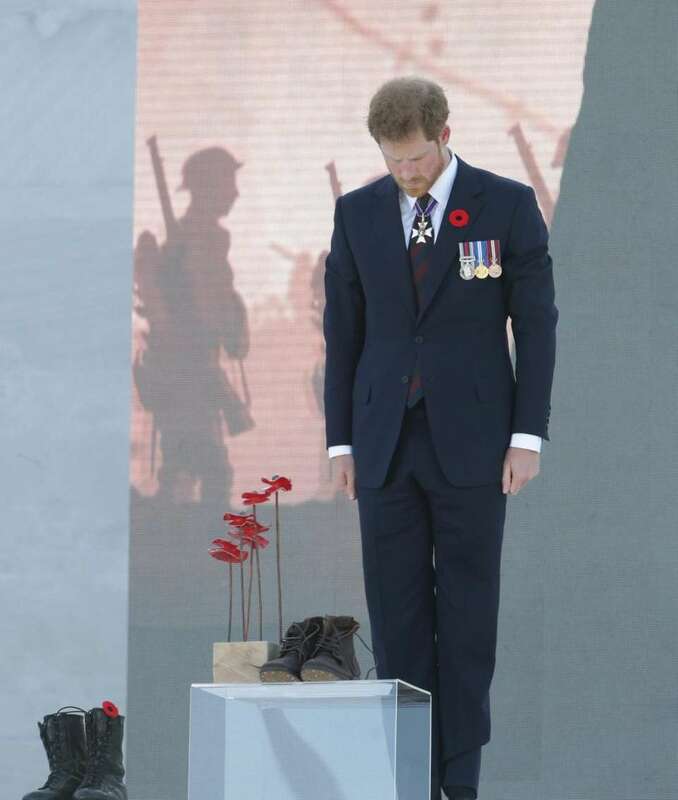 Prince Harry lays boots in remembrance at Vimy Memorial Park in France during commemorations for the 100th anniversary of the Battle of Vimy Ridge near Arras, France, on Sunday, April 9, 2017. 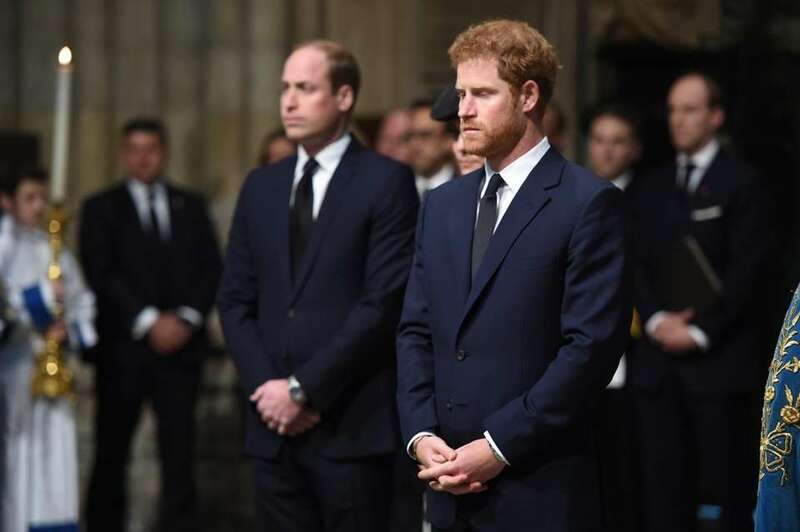 Prince William and Prince Harry attend the Service of Hope at Westminster Abbey in London on Wednesday, April 5, 2017. Prince Harry watches a short film at an International Mine Awareness Day reception at Kensington Palace in London on Tuesday, April 4, 2017. 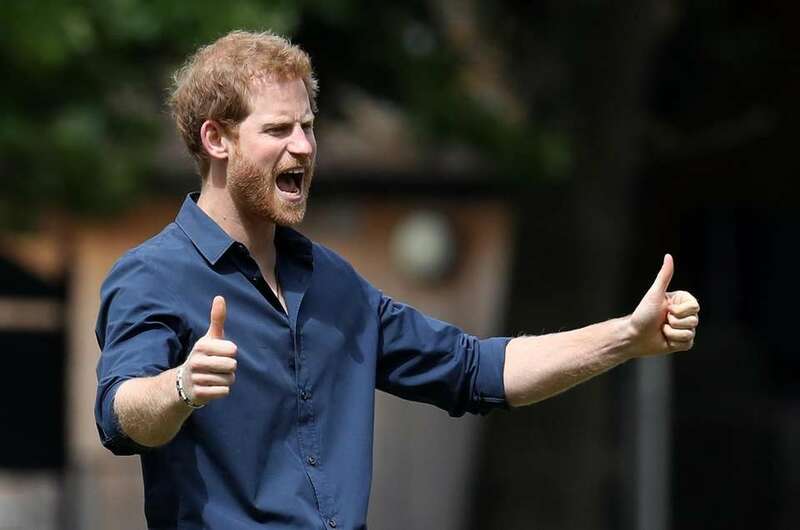 Prince Harry attends wheelchair tennis on the final day of the Invictus Games Orlando 2016 at ESPN Wide World of Sports on May 12, 2016, in Orlando, Florida. 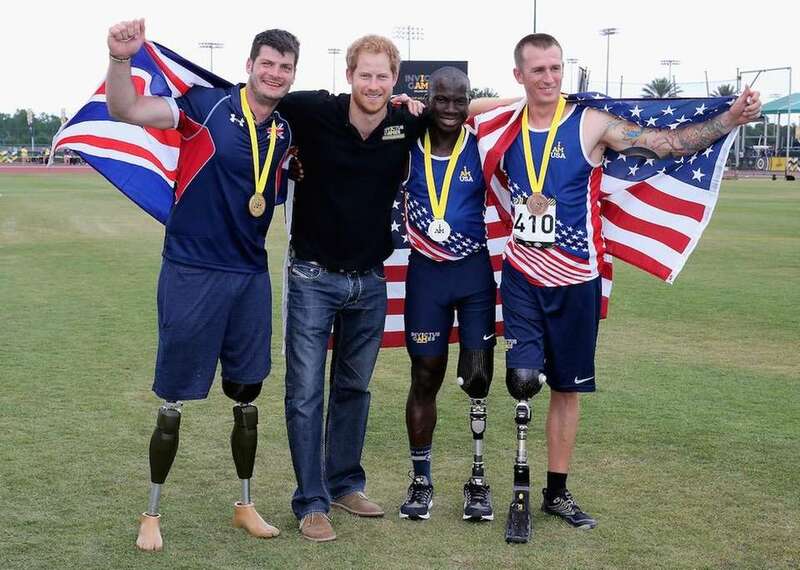 Prince Harry poses with U.K. Armed Forces athlete Dave Henson (with Gold in the 200m) and other medal winners at the track and field events during the Invictus Games Orlando 2016 at ESPN Wide World of Sports on May 10, 2016, in Orlando, Florida. 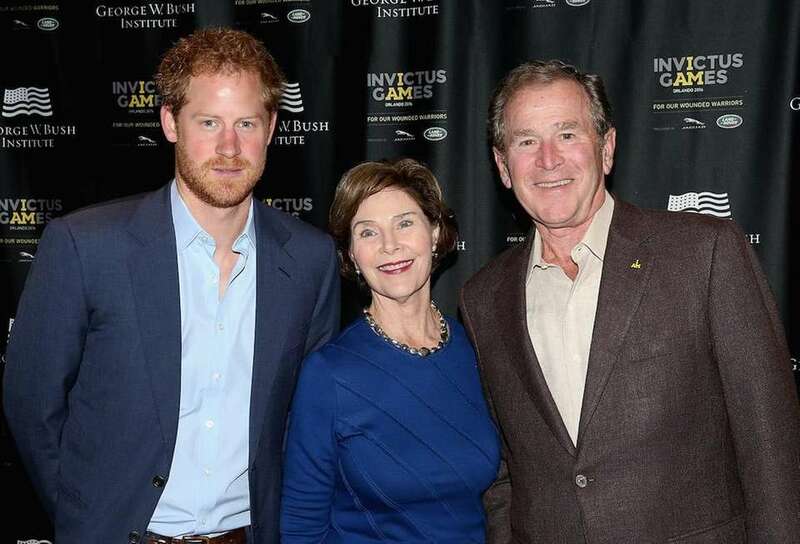 Prince Harry meets former President George W. Bush and his wife, Barbara Bush, at a Symposium of Invisible Wounds at the Shades of Green resort at the Invictus Games Orlando 2016 at ESPN Wide World of Sports on May 8, 2016, in Orlando, Florida. 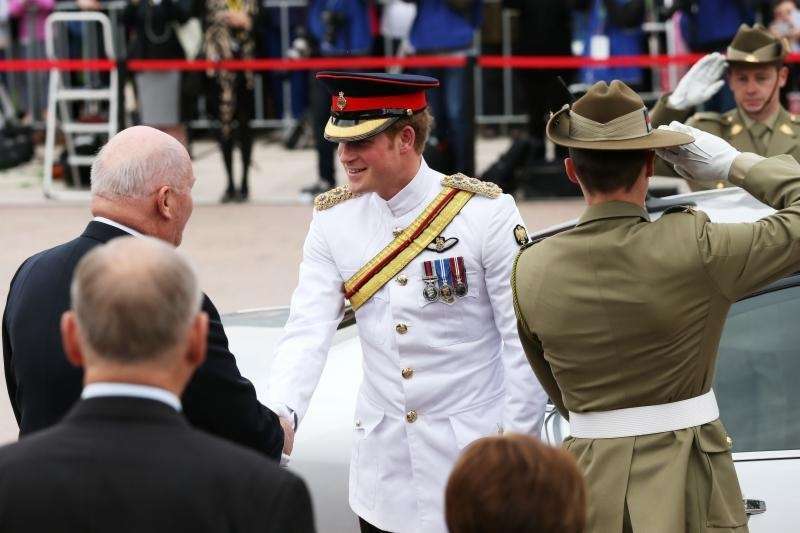 Prince Harry is greeted by Australian Gov. Gen. Peter Cosgrove during a visit to the Australian War Memorial on Monday, April 6, 2015, in Canberra, Australia. 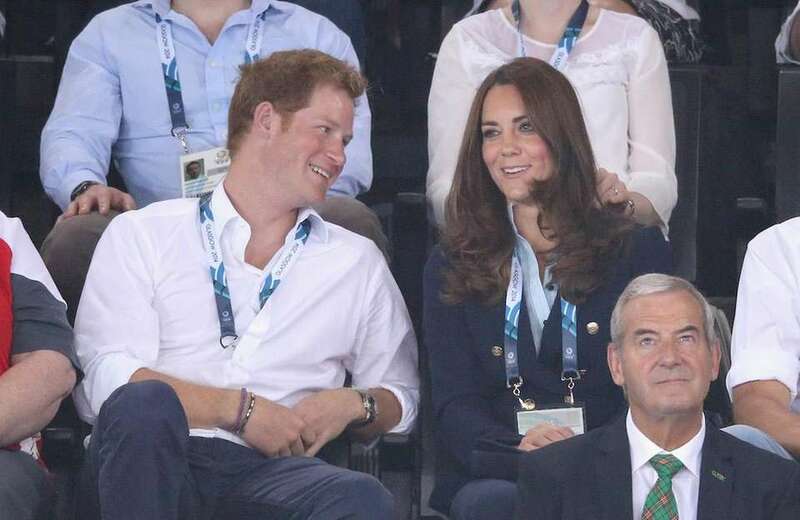 Prince Harry and Catherine, Duchess of Cambridge, watch gymnastics at the SECC Hydro during the 20th Commonwealth games on July 28, 2014, in Glasgow, Scotland. Prince Harry learns sign language as he visits the Kananelo Centre for the Deaf, a project supported by his charity Sentebale on Feb. 27, 2013, in Maseru, Lesotho. 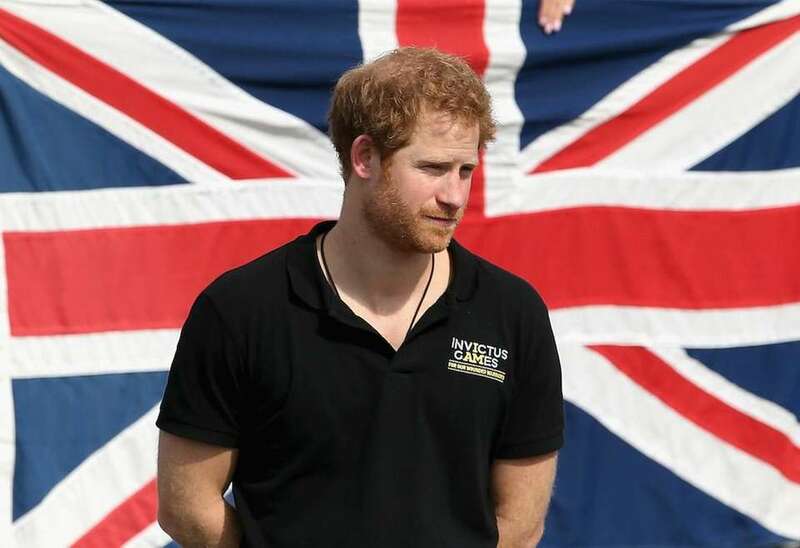 Prince Harry arrives at Garden Island in Sydney, Australia, to attend the International Fleet Review on Oct. 5, 2013. Prince Harry, right, during training near Novo, Antarctica, ahead of an Antarctic charity race. 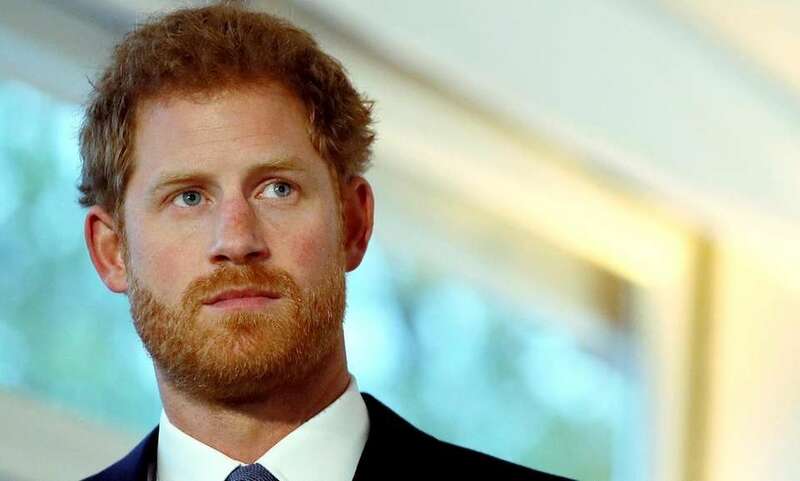 Harry is a member of one of three teams involving injured soldiers that made the 200-mile Walking with the Wounded South Pole Challenge over the course of two weeks, arriving at the South Pole the morning of Dec. 13, 2013. 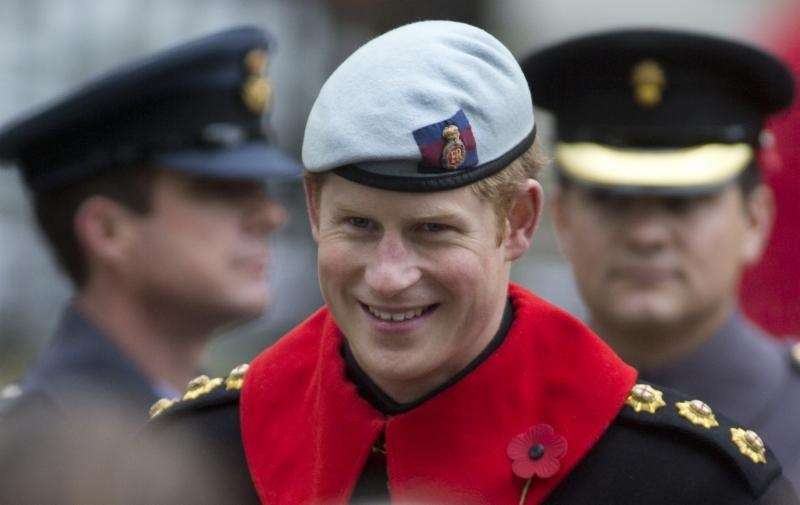 Prince Harry, of Team UK, arrives in Novo, Antarctica, ready to participate in the Walking with the Wounded South Pole Allied Challenge on Nov. 22, 2013. Prince Harry, of Team UK in the South Pole Allied Challenge 2013 expedition, leads his team out of the starting blocks on day one of the challenge in Antarctica on Dec. 1, 2013. Prince Harry chats with British armed service veterans at the Field of Remembrance on the grounds of Westminster Abbey in central London on Nov. 7, 2013. Prince Harry listens as first lady Michelle Obama welcomes and introduces him at the White House during the first day of his visit to the United States in Washington, D.C., on May 9, 2013. Britain's Prince William and Prince Harry after the Jerudong Trophy at Cirencester Park Polo Club in Cirencester, England, on July 14, 2013. 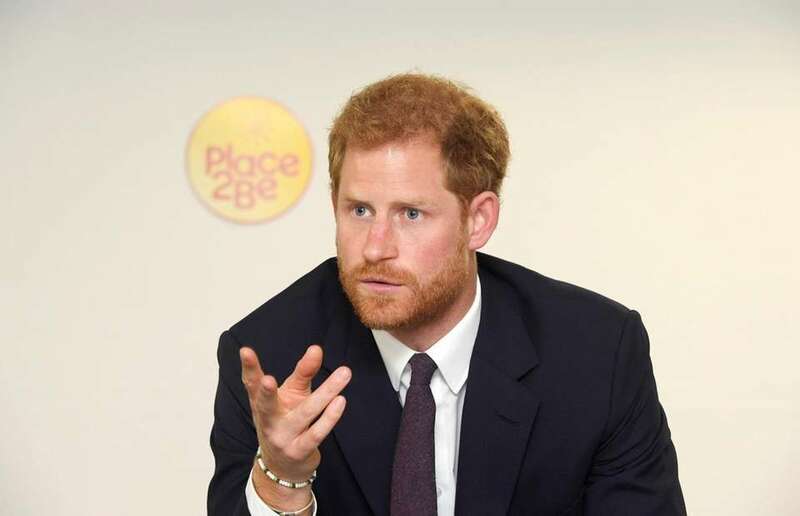 Prince Harry listens to New Jersey Gov. Chris Christie during his May 14, 2013, tour of Seaside Heights, N.J., which was hit hard by superstorm Sandy. Prince Harry and New Jersey Gov. Chris Christie toss balls for Taylor Cirigliano, 11, and her sister Allie Cirigliano, 7, at a ball toss game on May 14, 2013, on the boardwalk in Seaside Heights, N.J. Prince Harry talks with Olympic gold medalist Missy Franklin at a reception at the Sanctuary Golf Course in Sedalia, Colo., on May 10, 2013. Prince Harry, or just plain Captain Wales as he is known in the British Army, makes his early morning pre-flight checks on the flight-line, from Camp Bastion, southern Afghanistan, on Dec. 12, 2012. 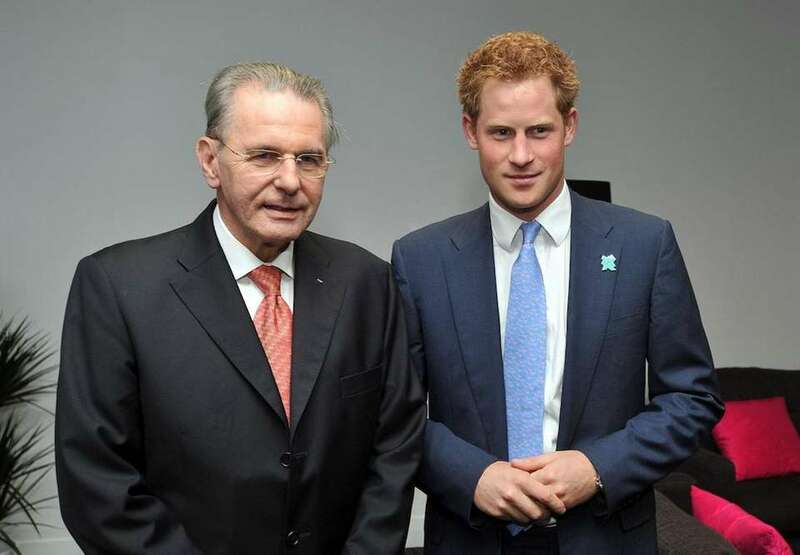 Prince Harry poses for pictures with President of the IOC, Jacques Rogge, during the closing ceremony of the 2012 London Olympic Games at the Olympic Stadium in east London, on Aug. 12, 2012. Prince Harry chats with Sean and Katie Thompson, and their 9-month-old daughter Jessica, during a visit to RAF Honington in Suffolk, England, on Feb. 10, 2012. 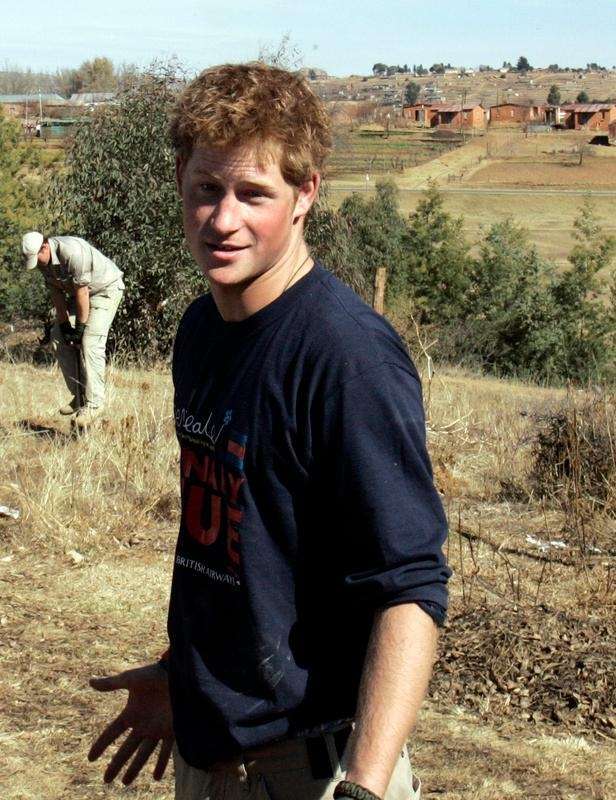 Prince Harry after playing rugby in Rio de Janeiro, Brazil, on March 10, 2012. 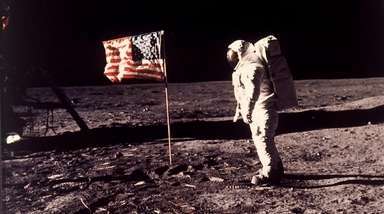 Prince Harry applauds during the closing ceremony of the 2012 Summer Olympics. Prince Harry talks to journalists whilr his regiment helps rebuild a school for disabled children in Batha-Bathe near Maseru, Lesotho, on July 8, 2008. Prince Harry watches track cycling during the Summer Olympics on Aug. 2, 2012. Prince Harry and Mets owner Fred Wilpon watch the Mets and Twins game from a private box at Citi Field on June 26, 2010. Prince Harry talks with UNICEF Operations Center officer June Toda about her experience coordinating mapping from the Haiti earthquake in New York City on June 26, 2010. Prince Harry visits UNICEF offices in New York City on June 26, 2010. Prince Harry with New York Mets catcher Rod Barajas after throwing the first pitch at a Mets game at Citi Field on June 26, 2010. Prince Harry heads to the mound to throw the first pitch at a game between the Mets and the Twins at Citi Field on June 26, 2010. Prince Harry attends a reception for his charity, Sentebale, in New York City on June 26, 2010. Prince Harry greets a member of the United States Air Force at the Achilles Hope and Possibility Race in New York City's Central Park, Sunday, June 27, 2010. Prince Harry shakes hands with contending athletes before the Achilles Hope and Possibility Race in Central Park in New York City on June 27, 2010. Prince Harry at the Achilles Hope and Possibility Race in Central Park on June 27, 2010, in New York City. Prince Harry falls off his horse during the Veuve Clicquot Polo Classic in New York, Sunday, June 27, 2010. Prince Harry after falling off his horse during the Veuve Clicquot Polo Classic in New York, Sunday, June 27, 2010. Prince Harry prepares to take part in the Hope and Possibility run in Central Park on June 27, 2010. Prince Harry of England throws out the ceremonial first pitch at the game between the Minnesota Twins and the New York Mets at Citi Field on June 26, 2010. 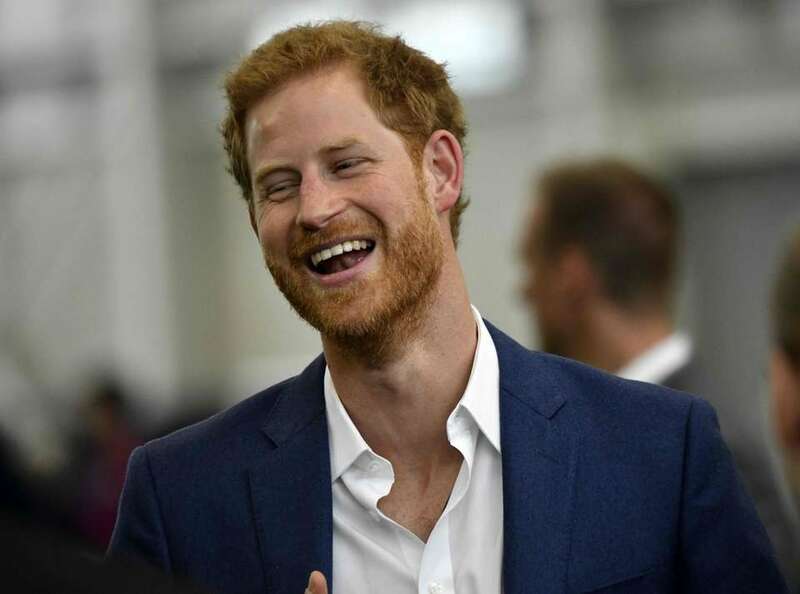 Prince Harry at RAF Shawbury in Shropshire, England, on Thursday, June 18, 2009.